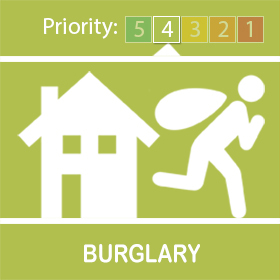 Between the 23/01/2019 and the 29/01/19 while the occupants were absent offenders unknown have entered the property by climbing over garages then up a trellis onto the roof then forcing a rear facing kitchen window and conducting an untidy search of the inside. While there the offenders have closed all the curtains in the property. If you saw anything in the area or noticed the curtains closed on a particular date please get in touch. Could I suggest that if you are leaving your property for a period of time get it checked regularly and make your neighbours aware.